From thematic letter head for my newsletters, to perfectly cut out pumpkins for my bulletin boards or a even a Blue’s Clues pirate cake for my son’s fourth birthday, it is obvious to anyone who knows me I love planning with a theme in mind. I find that having the time to gather supplies, create the design as well as implement the creation takes more time than I can invest, especially during the holiday season. 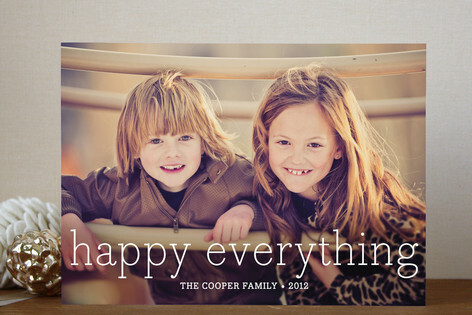 This year I am using Minted.com to create the most memorable Guthrie Christmas cards yet. Minted is a fresh new company with indie-designed products. I checked out the Minted designs for myself and fell in love with the above design for our family Christmas cards. This year for Christmas we are making homemade gifts for our extended family members as we are saving for our trip to Disney. 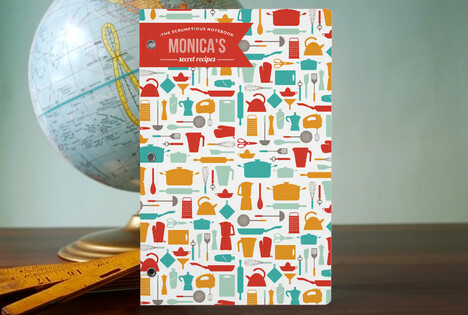 I will be making personalize journals like the one below filled with my Grandmother’s, Mother’s and my own family favourite recipes like potato salad, homemade perogies and avocado chocolate muffins. There are so many choices to choose from and I love the Pinterest inspired customer and designer created inspiration boards to help me make my choices. I just love the “kid art” ideas such as the one below to decorate our home. It gives me great ideas to create inspirational, yet very personal, pieces of art work to display my children’s masterpieces and satisfy the DIY side of me. Do you like what you see? From wedding invitations to business cards, Minted has all your high end papery needs. I was compensated for the review but the opinions expressed are my own.